Sketch pens are also known for offering consistent widths that are perfect for lettering and panel borders. 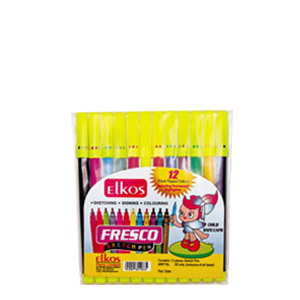 Such features make sketch pens perfect for creating different types of comic arts.Moreover, the drawing sketch pens can also be used easily to write on various smooth papersurfaces such as posters, photos and trading cards.Elkos Pens is one of the leading manufacturers of sketch pens. If you would like further information on variety of sketch pens available, visit our website at: https://www.elkospens.com/sketch-pens.html .